Alexis Creek, Cariboo Chilcotin Coast, BC, Canada is a small village located on Highway 20 (main highway) in the Chilcotin Grasslands Region of British Columbia, Canada. The geography of the region paints the land with hills, farm fields and grasslands. It is decorated with remote lakes and green backcountry forests. Throughout the land there is a vast network of wilderness trails and gravel roads leading travelers to guest ranches, fishing lodges and adventure destinations. Activities most enjoyed in Alexis Creek, BC and the surrounding areas includes hiking, backpacking, fishing, off roading, camping, horseback riding, canoeing, snowmobiling, ice fishing and xc skiing. A few of the more popular activity and sightseeing park, lake and trail destinations located in and around Alexis Creek, Cariboo Chilcotin Coast, British Columbia includes Bull Canyon, Nazko Lake Provincial Park, White Pelican Provincial Park, Two Lakes, MacKill Lake, Palmer Lake, Alexis Lake and Farwell Canyon. 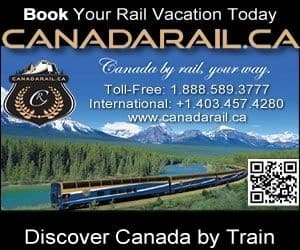 Travel services important to travelers in and around the community of Alexis Creek, Cariboo Chilcotin Coast includes accommodations (fishing lodges, resorts, cottages, motel), campgrounds, convenience store, restaurants, liquor store, gas station, ATM, cell service, and internet. Alexis Creek, BC, Canada is located 114 kilometres (70 mi.) west from Williams Lake on Highway # 20. Explore Alexis Creek, BC, Canada Travel Guide for Accommodations, Attractions and Adventure. eh! Plan to Visit Alexis Creek, BC today.